Spring Thaw. With spring just around the corner we are hoping for some better weather before we come out of hibernation. In the meantime give us a call at 403-558-3693 and leave us a message. 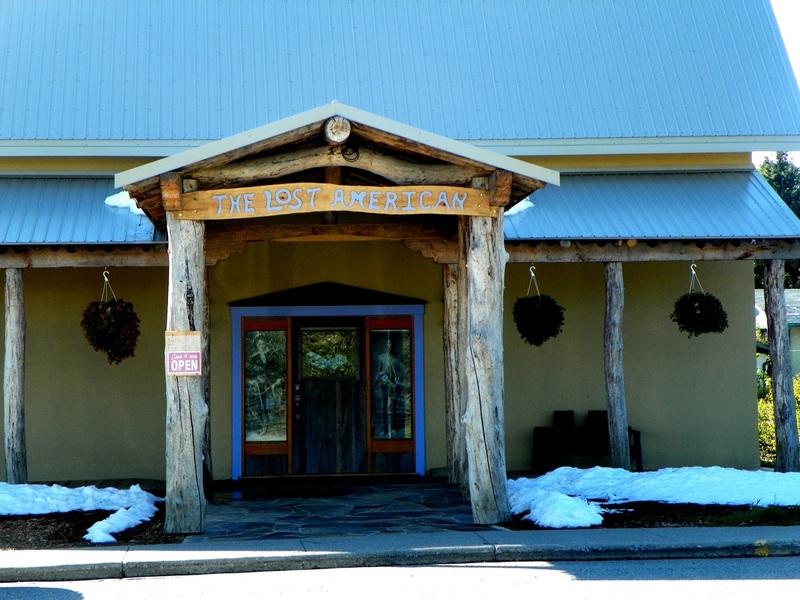 We invite you to peruse our other pages and view some of the special and unique items that will be for sale and on display at The Lost American Art Gallery and Museum. Welcome to The Lost American Art Gallery and Museum. 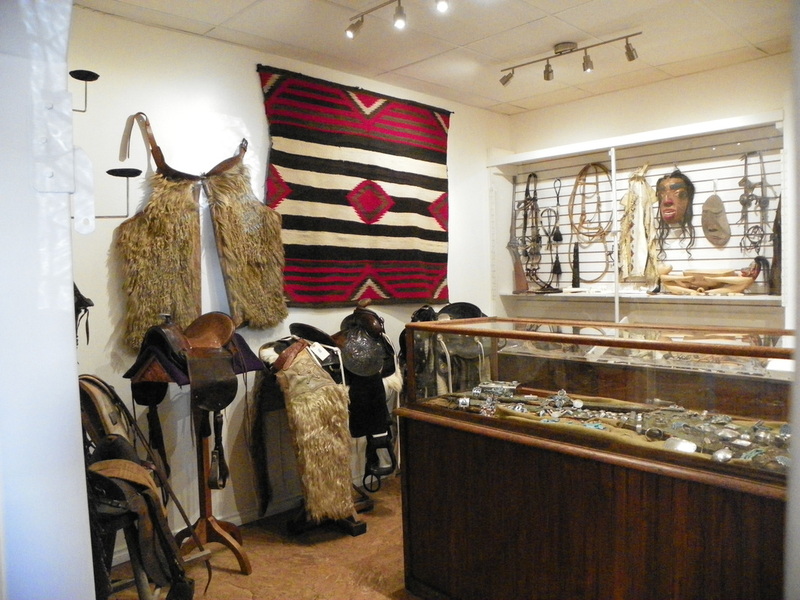 Situated on the Cowboy Trail, in Longview,AB, our gallery specializes in turquoise jewelry, Navajo rugs, Edward S. Curtis photographs, and Pendleton products. On display in the museum we have rare Southwest pottery, historically significant baskets from many tribes, and artifacts relating to the North American lifestyle of days gone by. 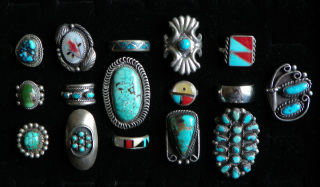 Pic﻿tured below are some of the many rings that are for sale in the Gallery.